Are you struggling to improve with pull ups? Have you got stuck on a certain number of reps or a certain level of assistance? It’s very common but most people don’t know how to get past this plateau. Using static holds and pauses is a very effective way to build strength in bodyweight exercises. Most people simply don’t realise how great this method is, so it is very under-used. In this video we take you through the progressions you can use – from fairly easy to pretty tough! 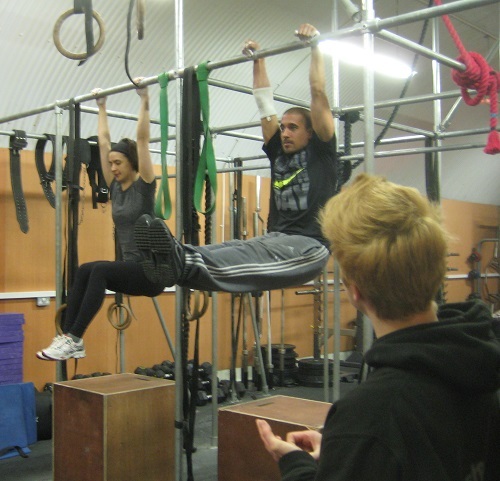 – to keep challenging your body and get stronger at pull ups. Can be done with a resistance band for assistance. Pull up L-sit hang competition! Who can hold on the longest?